if any duplicate with here, plz dont mind.!! XMA is a moving average with digital filters to determine range and trend periods. This multi-timeframe capable moving average discounts prices far from the average. 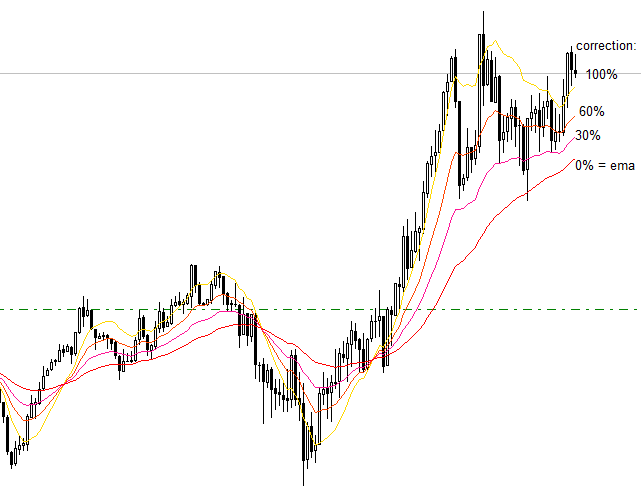 It is smoother than SMA but follows price similar to an EMA of the same length. QEMA is the Quadruple Exponential Moving Average. 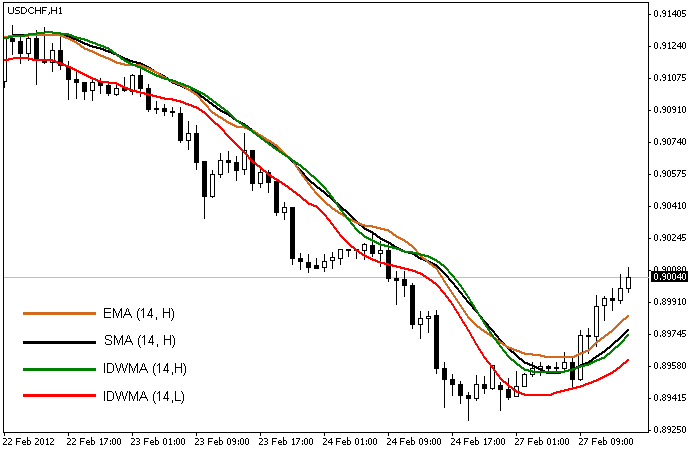 With this small change you can modify the percentage of the quadruple correction respect to the normal EMA. Do not be confused or misguided by some strange new or attractive names of indicators,these are just to make you fool and prove tell you they are real Author of the code but believe me mostly but all ideas and inventions belongs to Mladen at first place. he made minor changes (no doubts he is clever enough regarding compositions with little code snippets) in the Mladen code and renamed/clone copy with new name "ONYX"
"ALMA VHF Filter MTF TT"
Mode0 is the fastest MA, Mode3 the second fastest and Mode 6 the third fastest. The color change occurs already when Price of Candle 0 is above or below Price of candle 1 (depending on direction). But in order to use it for an EA I get so confused. I need to know teh rule for when all MAs are either green or ornage. An other issue I face when trying to use your indis in EA: The special characters and numbers in the name cause errors in the EA code. Could you provide an exe file of the latest version that does not contain such special characters and does not cause the alert "the indi has been renamed" contact Mladen.. I would much appreciate your help. Thanks for your hearty welcome. Attached please find the Mladen indicators for which I need the buffer logic. I look for the buffer rules when all MAs are green or all are orange. I am confused with the maximum buffers available in mql4. Is it max. 8 or can that be extended? Second problem is in general the usage of special characters and numbers in the file names. The file without version number does not making any problem when using it in EA. But the files with version numbers cause problems. Sorry, I do not know how to insert an image here.? I think I figured the buffer structure out finally. But the file name is still problematic in general. Can you give an exe file of the latest version without special characters in it? I dont mneed mq4 file, just a file name without special characters. Since your indicators are free: if I would build an EA using one of your copyright indicators, would I run into trouble with law? Or is that ok, since they are free to use? I mean not selling your free indi of course but an self coded programm which uses one of your free indis. Is it legally OK to use your copyright indicators in an commercial EA?